Stephe Cooper is best known as guitarist and majestic frontman for Brooklyn's psych rock luminaries Cloud Becomes Your Hand. Now after eight years since their inception, Cooper is set to release Home Of Bread, his solo debut. Capturing a similar psychedelic bliss to his band's output, his solo effort places a firm focus on stripped down songwriting, with Cooper's vocals at the core of each composition. There's still plenty of kaleidoscopic wonder, but the heart rests within Cooper's lyrics and personal approach. 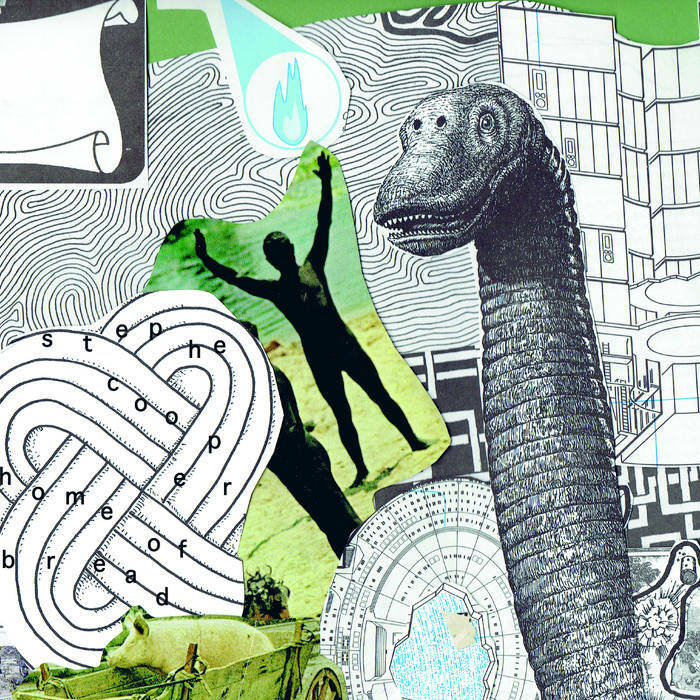 Home of Bread is an eclectic record, mining his influences in the form of stunning originals, collaborations, covers, and sound collages, each offering a unique texture to a singular vision. "No Other," the album's first single is a dreamy glimpse into his lo-fi world of solo wanderings. With lyrics written by Zach Phillips (OSR Tapes, Constantine ZP, etc), Cooper offers a soft delivery both whimsical and somewhat despondent. There's a poetic sense to the singularity that the words of "No Other" present, finding company in the shadows and memories. The composition is packed with hazy synths and gentle piano, plodding in time with bells and whistles that ring out atonally together with the occasional warbling guitar accompaniment. The whole thing is drawn into another world, layered perfectly to suspend your sense of reality and climb into a new existence. Stephe Cooper's Home Of Bread is out April 6th via Roto-Asterisk Records.